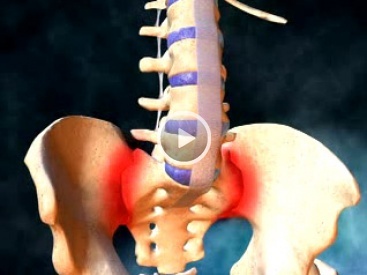 Chronic inflammation in these areas causes pain and stiffness in and around the spine. Over time, chronic inflammation of the spine (spondylitis) can lead to a complete cementing together (fusion) of the vertebrae, a process referred to as ankylosis. Ankylosis leads to loss of mobility of the spine. Ankylosing spondylitis is considered one of the many rheumatic diseases because it can cause symptoms involving muscles and joints. Ankylosing spondylitis is two to three times more common in males than in females. In women, joints away from the spine are more frequently affected than in men. Ankylosing spondylitis affects all age groups, including children. The most common age of onset of symptoms is in the second and third decades of life. The exact cause of Ankylosing spondylitis is not understood. It has been considered to be an autoimmune disease. Genetic factors are likely to be involved. The majority of people with Ankylosing spondylitis have a gene called HLA-B27. Recently, two more genes have been identified that are associated with ankylosing spondylitis. These genes are called ARTS1 and IL23R. These genes seem to play a role in influencing immune function. Presence of HLA-B27 antigen, increased levels of CRP (C- Reactive Proteins) and ESR (Erythrocyte Sedimentation Rate) along with suggestive clinical history help in diagnosis of Ankylosing spondylitis. Ankylosing Spondylitis (AS) being a constitutional disorder calls for a constitutional approach to its treatment. Homeopathic approach incorporates detailed study of the cases of AS inclusive of the genetic trend of the patients. The remedy prescribed after such detailed evaluation offers effective pain control as well as helps in controlling the progress of this condition. Early cases of AS can be treated with good success with homoeopathy. Cases that have advanced to a moderate extent can also be helped, especially in preventing the further progress of the disease and limiting the pain. However, severe cases can only be relieved symptomatically with homoeopathic treatment. - It addresses altered immune system, treating the roots of this autoimmune disease. - It helps in pain control without side effects. 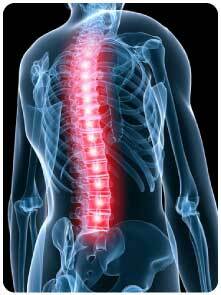 Dr. Ramesh Bhardwaj has successfully cured many cases of Ankylosing Spondylitis (AS). One can get symptomatic relief within few days. Complete cure within few months.